The Super Bowl has long provided a platform for the USA’s biggest brands to prove their creative worth. In recent years brands have taken to subverting the format to create even greater buzz on social media. In 2017 Tide and Saatchi & Saatchi did this with Bradshaw Stain, a live broadcast hi-jacking which confused viewers as to what was advertising, and what was real. With Bradshaw Stain still front-of-mind, the creative team brainstormed ideas around stains. No creative breakthroughs were forthcoming, so eventually the decided to flip the idea, and focus on cleanliness. They soon hit upon the insight that every commercial on TV featured people in perfectly clean clothes. 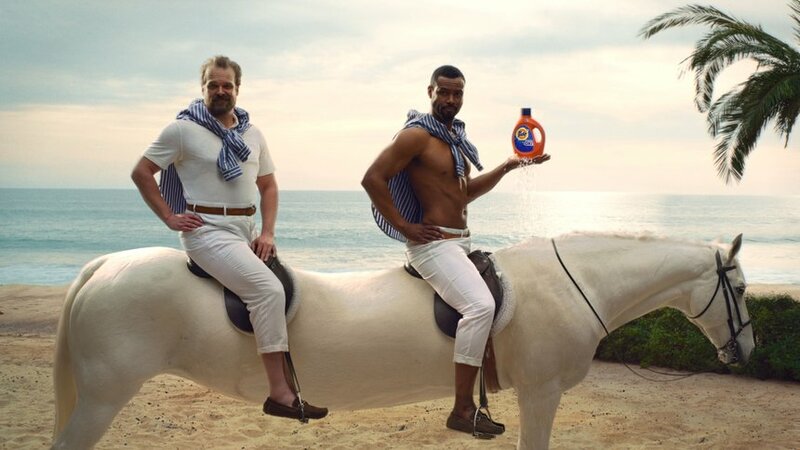 From there they developed what Lobatón calls the ‘brand truth’ – that in fact every ad was a Tide ad. When they took this idea to Tide, the client insisted that they stop developing further ideas, and focus on this one. And so a script for a 45-second commercial was developed in which the lead would appear to be advertising various consumer products, only to reveal that, in fact, it was a Tide ad.